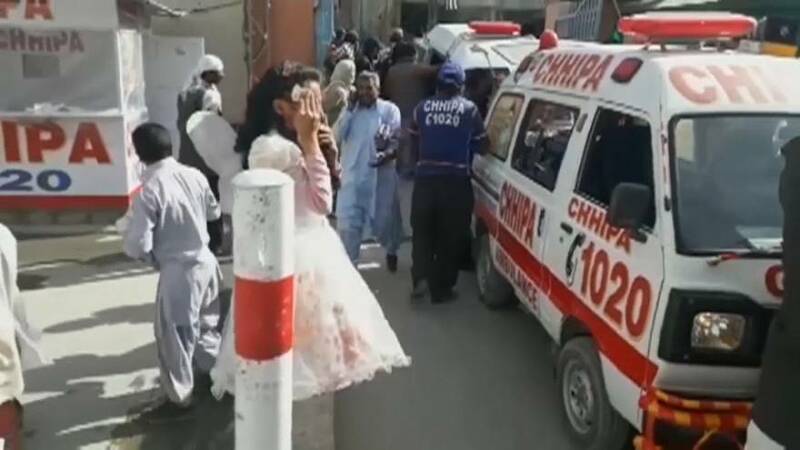 Two suicide gunmen with explosive vests have entered a Christian church in Quetta, Pakistan, and shot dead at least nine people. At least another 56 people have been wounded. Police guards were able to prevent the men from entering the main buildings, where at least 400 people were at prayer. "Sunday service was going on. Sunday prayers were about half-way through when the firing started which was followed by a blast. Some of the people are dead, the others are injured," said one worshipper. Police managed to shoot one of the gunmen dead, while the other exploded his vest after being wounded. Pakistan's Christian minority is frequently the target of extermist attacks, and the government has provided the communities' churches with armed guards.